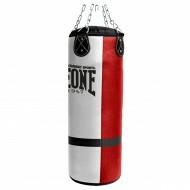 The boxing heavy bags help the boxer or the boxeuse one to improve its power and its physical shape. 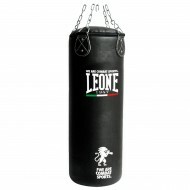 There is much different characteristic between each Leone heavy bags. 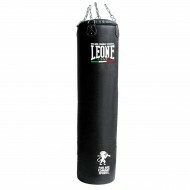 That you had a boxing gym or that you involve yourselves on your home, you will find your happiness in our Leone selection. 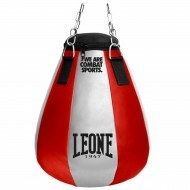 Theheavy bags, initially used for the power are also used more and more to work the speed of the boxer. Work with the heaby bag will make it possible to gain force but also to work its speed and its leg movement.